Most important things first, right? 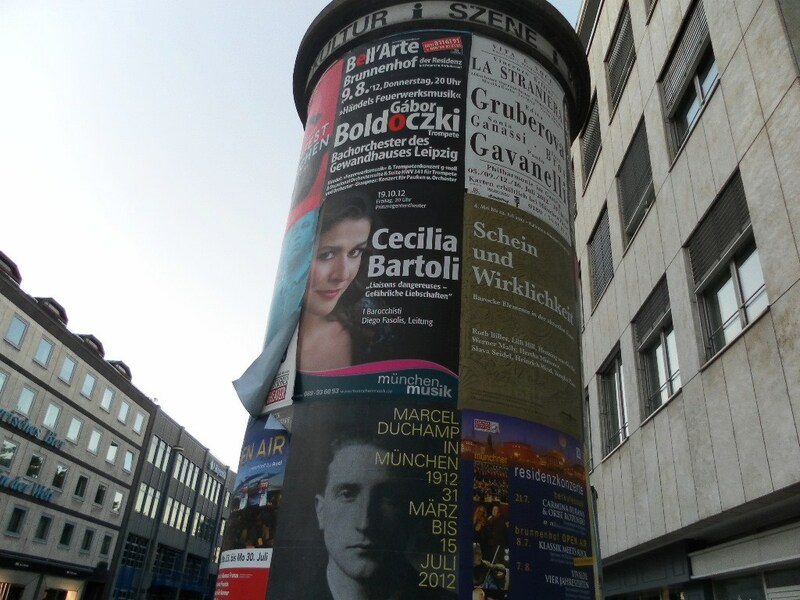 München (Munich), exponentially larger and more overwhelming than Würzburg, is truly a city of music. We made a quick tour of the downtown area after our arrival Friday afternoon–and what do we pass first, right around the corner from the bus stop? 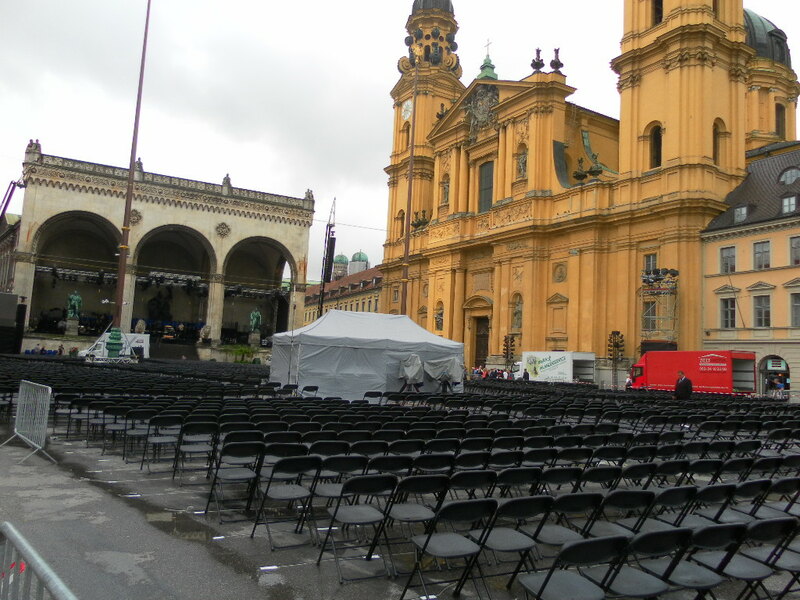 Joseph Calleja himself (one of my favorite tenors…), rehearsing O Soave Fanciulla (my favorite Puccini duet…) for a concert Sunday night, in the beautiful outdoor Odeonsplatz. Wow. 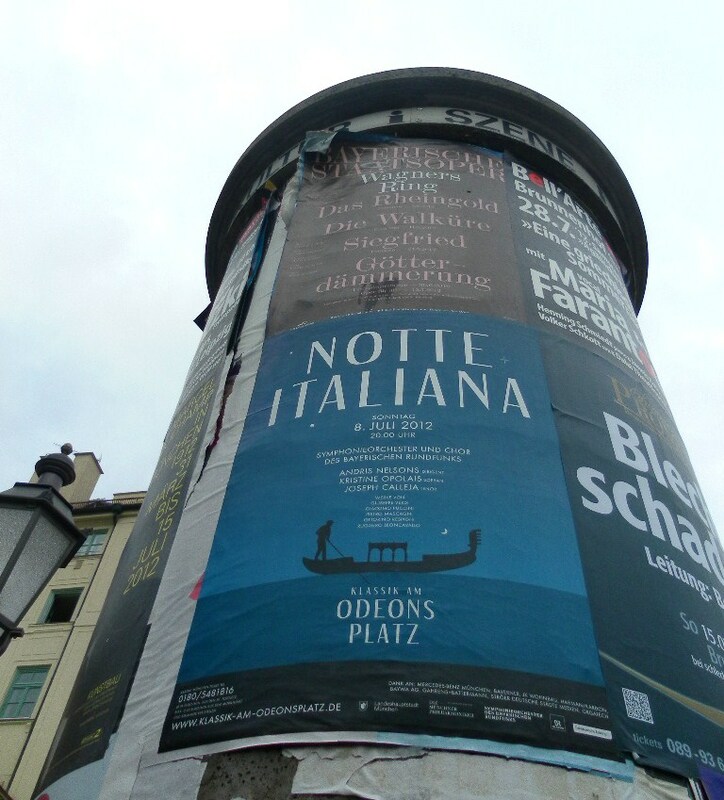 The poster for the concert. 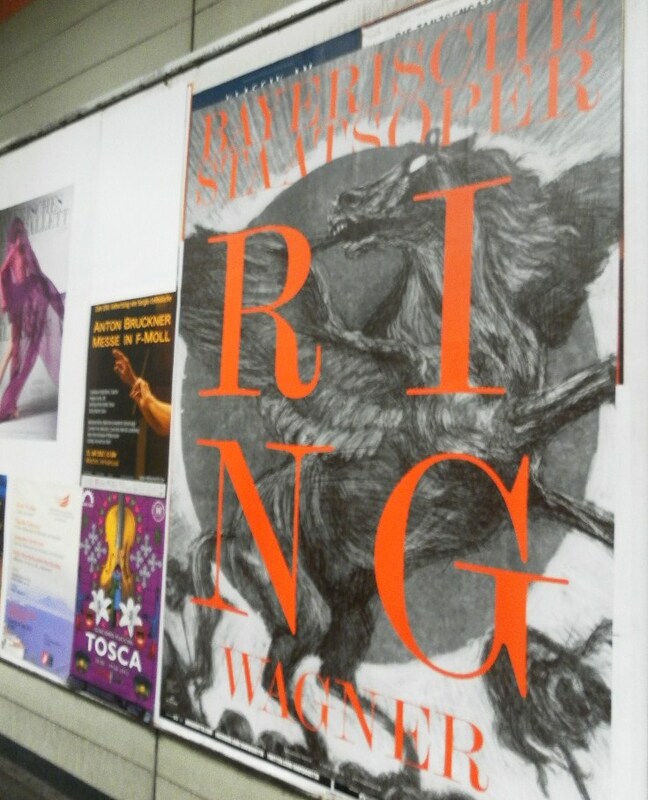 …And now note the poster above, for the City Opera summer Ring Cycle….Siegfried opened Friday night, but was utterly sold out, alas. More Wagner, and the opera house itself. A. and I walked back to Odeonsplatz Saturday night, to hear the München Philharmonic in another outdoor concert of Russian music. We were too poor to buy tickets, so we sat on a window-ledge on a side street and read our German homework and listened for free–along with a couple dozen other assorted students and young couples, who brought picnic blankets and wine to make a night of it. Up next: Cathedrals, Thomas Mann, and Cy Twombly! 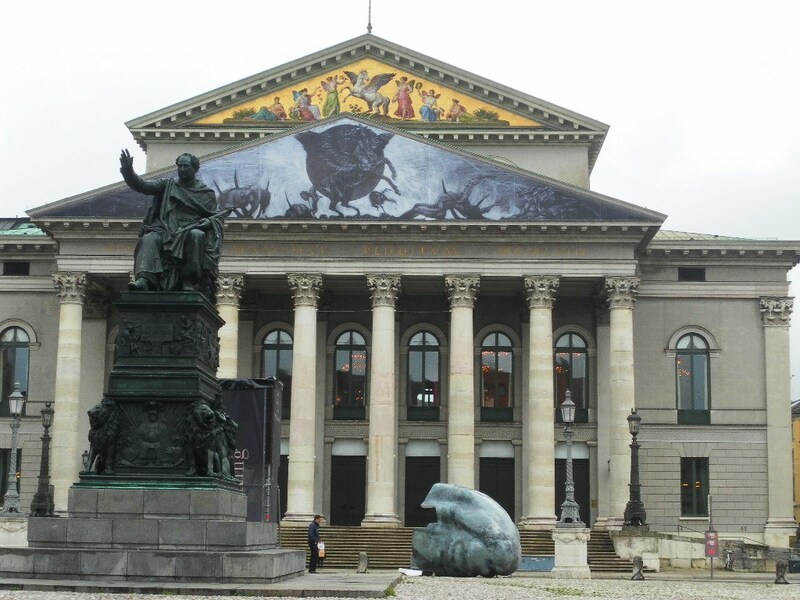 This entry was tagged Joseph Calleja, Munich, music, opera, Wagner. Bookmark the permalink. A tad more action there than in downtown Chelsea at the cremee stand!! !